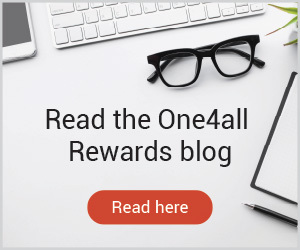 Business owners, company leaders, and managers; if you’ve got good talent in your company, a strong workforce that is going the extra mile to achieve targets and reach milestones, then you need to recognise and reward their hard work, efforts and dedication. Depending on the size of the company, access to the person at the top can be extremely limited; their schedules are always full and their presence in the office can be rare as they’re always either out at meetings or travelling abroad for presentations. However, being too busy for your employees should not be an excuse. To keep employees engaged and focused in their roles, they need to catch-up with the organisation’s head from time-to-time. Next time an individual or team has done a good job, recognise and reward their efforts by giving them your time; whether it’s a 30-minute coffee catch-up or lunch outside the office. This allows you to connect with your employees and it gives them the chance to pitch their ideas or share their thoughts on upcoming projects. Upskilling and career development is a top motivator for employees. They are interested in learning more about the industry they’re employed in and want to discover ways to upskill their existing talent bank. Conferences are a great way to give them access to top business leaders who are making big waves in an industry. Create a platform where employees can share the conferences they’d be interested in attending and arrange the tickets as a reward for their hard work and dedication. Employees want opportunities to upskill and progress in their careers. By rewarding them with training courses, you’re giving them the chance to climb the career ladder. Like the platform to list conferences, create a place where employees can list certain skills they’d like to learn or areas in the company they would be interested in progressing in. Arrange a meeting with them to discuss their career path and offer training courses they can do to accomplish their career goals. A large chunk of employees’ salaries goes on buying lunches and snacks for their work life. Everybody loves food so providing lunch and snacks in the office will be appreciated by all. Keep things fresh and exciting by switching menus regularly or having themes, for example, during the World Cup, offer dishes from the countries participating. 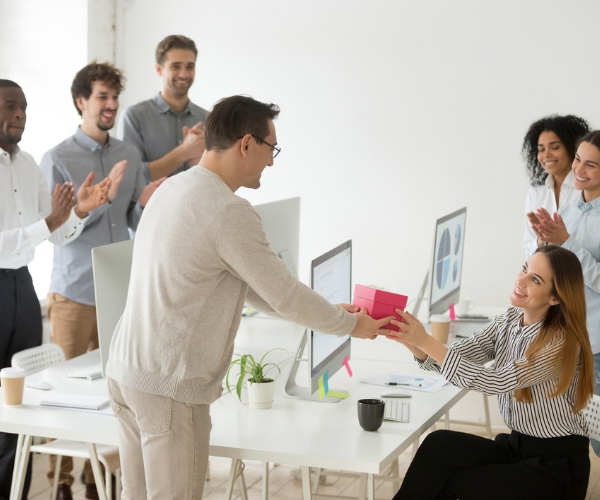 If you see employees working hard or achieving goals, reward them on the spot by giving them, for example, tickets to a sporting event, cinema passes, or a gift card. Don’t wait to praise your employees at a later stage, it will have less of an impact. Instant recognition will boost employees’ motivation, productivity and job satisfaction. Developing a points system as a reward programme is the perfect way to give ongoing recognition. Employees receive points every time a target is reached or every time they go above and beyond, and they can redeem their points for gifts. 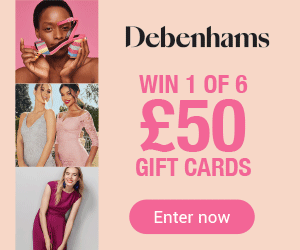 You could offer a variety of rewards for employees to choose from, for example, an extra day of annual leave, a half day, gift cards, restaurant vouchers, concert tickets, etc. Tech accessories are one of the most popular gift items out there so if an individual or team has worked hard to achieve their targets, reward them by gifting them the headphones or Smart Watch that tech reviewers are giving five stars. Giving them something they will use regularly will act as a reminder that they are appreciated, and their work is valued by the company.